× Create a store credit to keep refund money in your store. Allow customers to use the store credit at the checkout and forget the painful refund experience. Analyze statistics on credit balances and the number of refund cases. Benefit from customer returns and start credit and refund program effortlessly. Save your time and turn money back to your store out of hand. Allow customers to shop more using store credits. 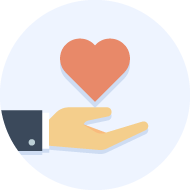 What makes the Magento 2 Store Credit and Refund extension worth to your financial contribution? In-store currency is a great sample of how you can effectively overcome the pain caused by the refunds. Gin it up with our Magento 2 Store Credit extension and apply it to process the refunds or award customers. Let your customers pay with store credit directly from the credit memo page, track their credit balance in the dedicated account area, and be sure that enabling this mechanism you make a significaте contribution to customer loyalty growth. 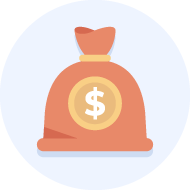 Get more satisfied clients with the solution converting refunds into new purchases! Our Magento 2 Refunds extension makes this process of your in-store credit and refund program management successful without your close engagement. 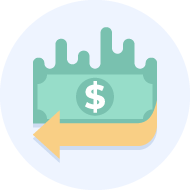 Try out the power of automation and stop thinking it’s complicated to refund the orders to store credits. We created the backend interface that is perfectly suitable for quick credit management. We equipped transactions grid with handy filters to advance transaction search and identification. Magento 2 Store Credits and Refund extension take care not only about youк business but primarily about your customers. Customer account area includes all significant figures clients want to have at hand. You can arrange email notification sending in case of any credit balance change. More to that, you can enable credit reminder for clients at the store top or notify them how much they can save by spending store credit. Let customers checkout using credit balance including tax and shipping cost covering. Integrate Magento 2 Store Credit extension with Smart One Step Checkout allowing using store credits on the checkout page generated by OSC module. Enable paying for the purchases with store credits the same way as customers are used to doing it on the default Magento checkout page. Transactions grid comes with the set of filters allowing for quick transaction search and identification. Customers can decide if they want to checkout with CC or use credit balance which can cover all including taxes and shipping. Shoppers will be able to use their store credits on the checkout page built by the Smart One Step Checkout extension. How Store Credit and Refund Magento 2 extension beat the competition? Refund happens. Not that it should be a motto, rather a sad truth. It may be the manufacturer's issue, false expectations or whatever that makes customers to ask for their money back. It doesn't have to be the store, in fact, the store is the less common reason for a refund request. The storeowner's strategy here is to keep customers loyal to the store, and at the same time to keep customer's money. Ask customer if a refund to store credit works for him. Yes, a straightforward question. According to our data, 30% of customers don't want to go empty-handed, they want the functionality/service delivered, especially if there is a list to choose from. 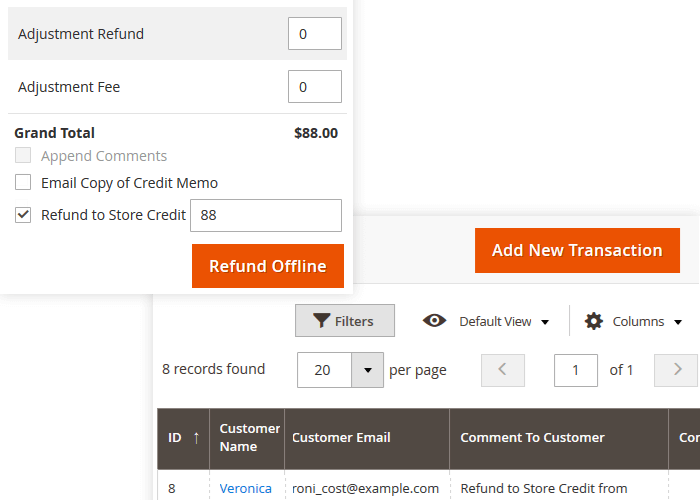 Refund to store credit in one click - get to the credit memo, and click 'Refund' button. 'Refund to Store Credit' checkbox is already ticked for you. You can always offer a little extra to cover the troubles and increase loyalty. Navigate to the transactions grid, to add extra credit for troubles. Psst, it works better than a discount (winky face). While there you might want to check for other credit movement updates, there is probably a new order already. You have just kept customer's money at the store, increased customer's loyalty to your products by adding extra credit, and saved time on the refund for $79. Integration with Smart One Step Checkout NEW! As a result of the integration, customers are able to use their store credits on the checkout page built by the Smart OSC extension in order to pay for their purchases the same way as they can do it on the default Magento checkout page. If you do not search for complicated expensive solutions this small but very useful module is what you need. Simple installation, straightforward settings, low price and excellent support go as an addition to must have store credit option. - the customer will return to your store. Considering it's price it is a great investment, isn't it? 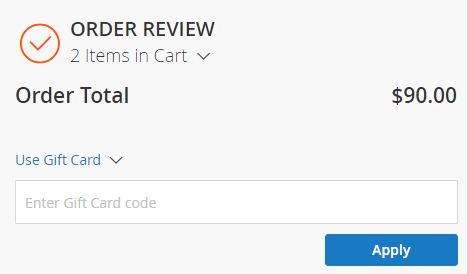 Why my customers are not able to place an order when its total is $0? Does this work with the Amazon Pay extension by Amazon? And the Stripe extensions? The extension will work with any payment method installed in your Magento.